Made from 100% natural Thai rubber, our thongs feel much softer and solid underfoot compared to regular thongs and have the added bonus of being environmentally friendly and coming in uber cool colours! 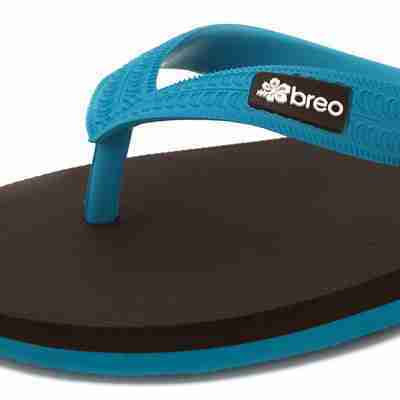 The Breo thongs (or flip flops as they call them overseas) are proving to be very popular in the UK, being very soft and easy on the foot through out the day and also they remain odour free. Made from a raw natural latex which is both organic and bio-degradable, thus helping the environment. These thongs are colourful and bright and great for the beach, swimming or just whenever you are out and about and want to add a splash of colour! 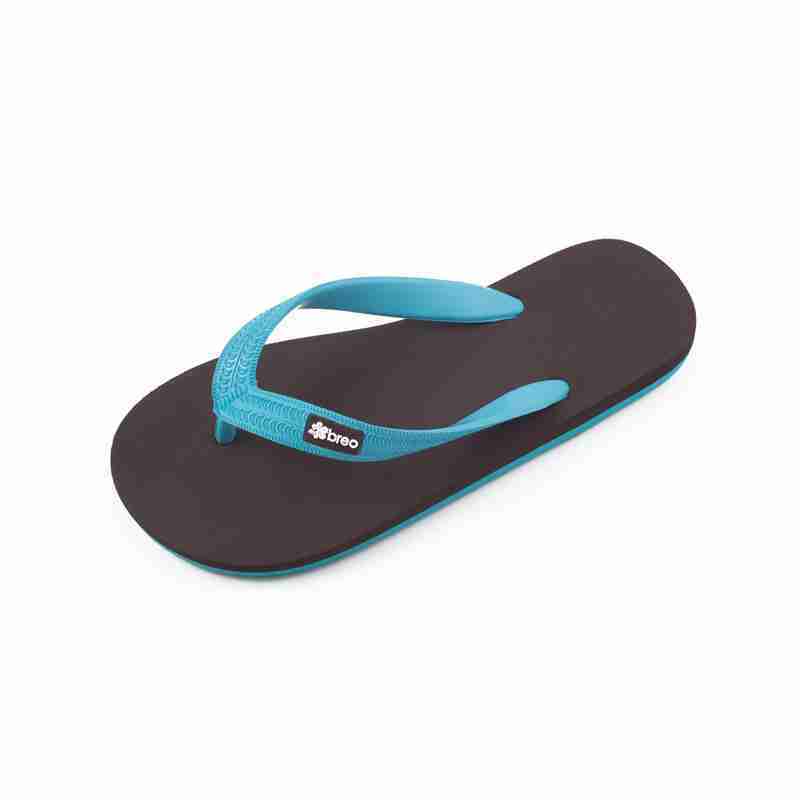 The fit is comfortable, soft material with a thin toe divider which helps with all day wear. They are thoroughly washable and perfect as a present for a friend. Available in Women’s UK sizes 2-3, 4-5, 6-7, 8-9 or US sizes 5-6, 7-8, 9-10, 11-12 or Unisex European sizes 35-36, 37-38. 39-41, 42-43. ***Email support if you have any questions about sizing. The thongs are suitable for all ages and guys and girls alike. 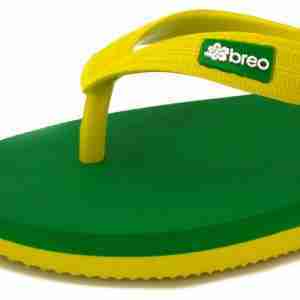 Clearance Item: The Breo natural rubber thongs are clearance items as such sales are final – no returns or exchanges on these items. The cute and mysterious Narwhal has been sighted! 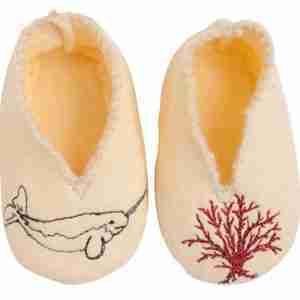 This time they are on your baby’s feet as adorable mascots on these soft wool baby booties. 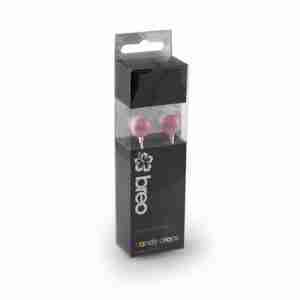 Combining sleek design with premium sound quality, noise reduction and maximum comfort, the Candy Drop earphone is perfect for people always on the go that need high-quality music all day long! What can be better than soft baby booties? Baby booties with an Alligator on them! 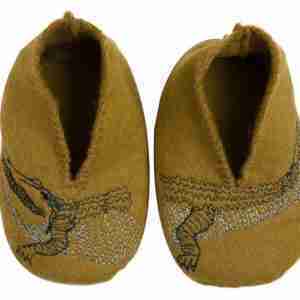 These cute baby booties are made from soft felt wool and have an Alligator that stretches across the left and right foot of the booties.